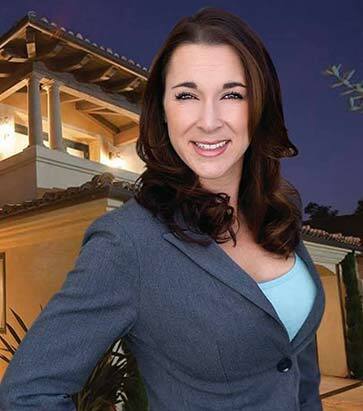 Bri Waterman has been serving the Santa Clarita Valley’s Real Estate needs since 1999! Her personal goal is to simplify the process of buying and selling Real Estate. Bri’s Real Estate philosophy is based solely on customer satisfaction. Bri Waterman’s success is not defined by just the number of homes she sells each year, but by taking excellent care of each individual client even years after every escrow has closed. Buying or Selling a Home is an emotional process. Bri has been in this industry full time for more than 17 years and embraces the fact that are common issues in the process of even the simplest transactions. Bri’s mild temperament, expertise, and creativity allows for a stress-free escrow process. The key is being reachable. While others may hide in the onset of a conflict, Bri knows that answering the phone, explaining the problem and offering a few options of resolution is what saves escrows and usually keeps all parties happy. There are very few Real Estate problems that cannot be resolved! Bri Waterman works 50% with sellers and 50% with buyers.This allows Bri to have expert knowledge of property values, and how to accentuate listings via staging, decor suggestions and marketability, because she hears the feedback directly from her active buyers on a daily basis! Bri capitalizes on her vast network of agents, clients and friends throughout Southern California to connect buyers and sellers, investors and contractors, agents and referrals! Bri is not your typical “Realtor”! She does not believe in forcing clients to sign on the first meeting, unless they absolutely want to. Bri’s non-pressure attitude allows for listing and sale consultations to be open, honest and comfortable, without her clients EVER feeling pressured or forced to make a major decision. If a seller finds a close connection with Bri, they will still feel the same way the next day. A buyer knows when a house is “The ONE”. Just like a seller knows if Bri is the right Listing Agent for them. No need for pressure or crafty sales pitches with Bri! She does not believe in auto emails, passing clients off on buyer’s agents or assistants. Bri handles her clients personally from start to finish and long after escrow closes. Bri cares about her clients and her reputation above all and wants to be involved every step of the way! When Bri turned 19, she obtained her Real Estate License and then became a Notary Public. Since then, Bri has been a full time, Top Producing Real Estate agent! Bri is 100% dedicated and qualified to exceed all of your Real Estate expectations. No one knows the Santa Clarita Valley, including Saugus, Valencia, Newhall, Stevenson Ranch, Castaic and the surrounding areas better than Bri Waterman!